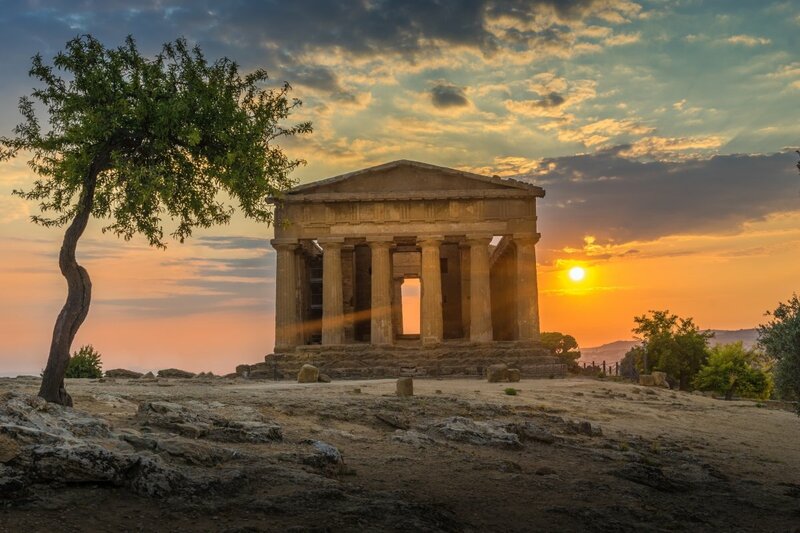 We are thrilled to introduce a wonderful private journey to discover beautiful Sicilia travelling from west to east, through the magical interior of this paradise island. Travel to Sicily with its idyllic climate, its archaeology treasures, dramatic vistas and hearty cuisine that embodies all things Sicilian. 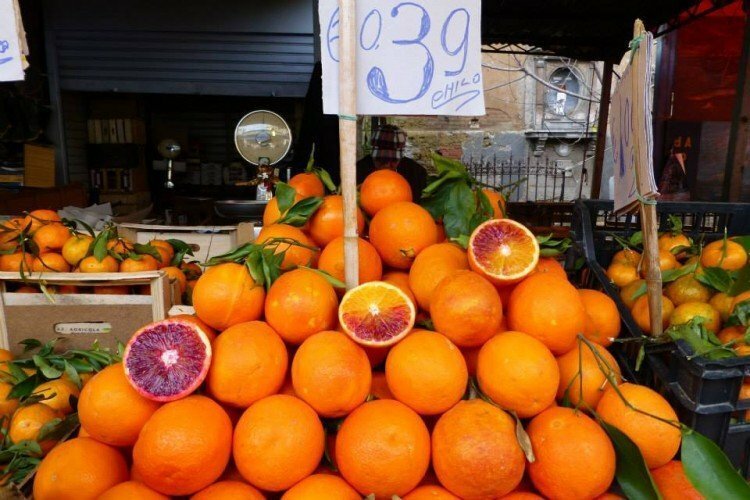 Extravagant scenic beauty, a multicultural crossroads with a history that dates back to 3,000 years, an exuberant and richly layered culture and a tradition of food and wine that is celebrated the world over…all converge here in sunny Sicily! 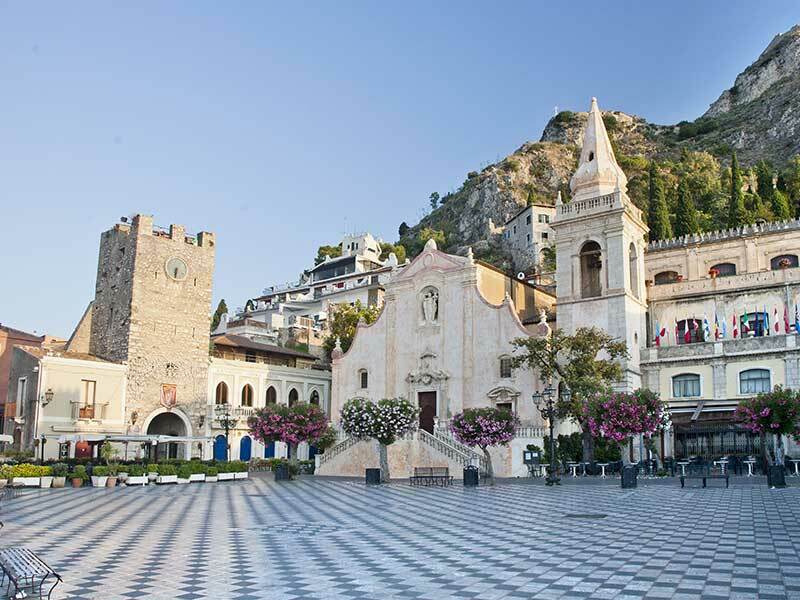 On this small group journey, you’ll delve into one of the most fascinating and coveted regions in Italy. Stare face to face with some of the world’s best Byzantine mosaics in the cathedral of Monreale – a literal Bible in gold. 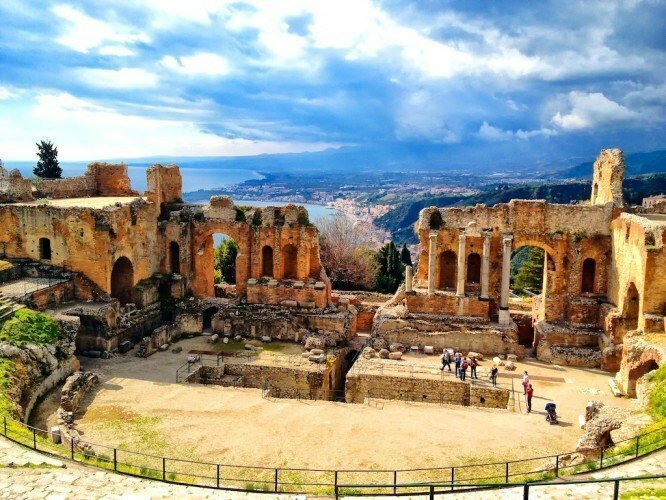 Sit in Taormina’s Greek theatre looking out at still-smouldering Mt.Etna and you can’t help but feel goosebumps. Marvel at the rich archaeological ruins of Siracusa dating to the 5th century BC. Explore the brilliant Roman floor mosaics in the Villa del Casale.The Greek influence is particularly strong in the south of Italy – we’ll see better preserved temples here than in Greece itself! 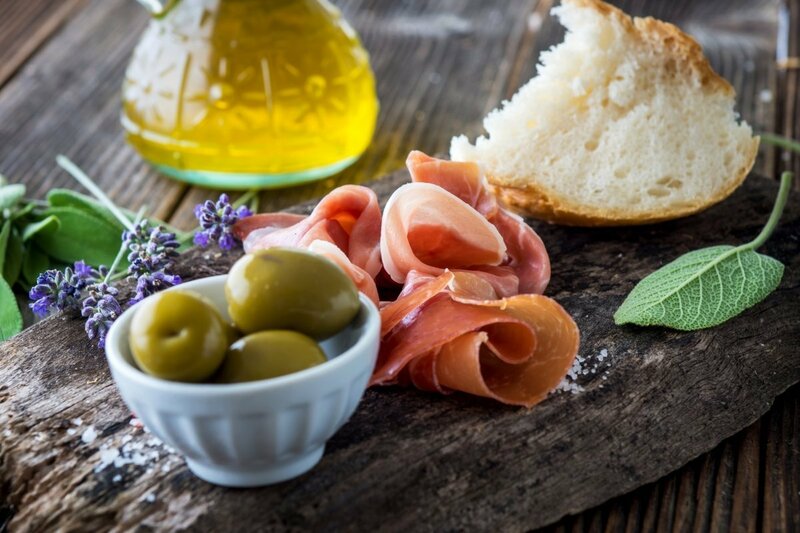 Sicily has some of Italy’s best beaches and on this tour we make sure that you’ll have time to enjoy them.The cuisine of Sicily varies from one province to the next as do the wines. 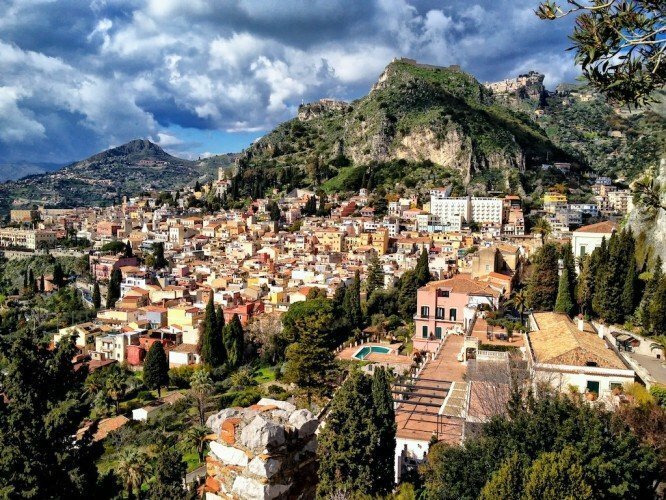 Sicily is a world apart, an island separated from the rest of Italy not only by the sea but also by centuries of history and cultural experience. 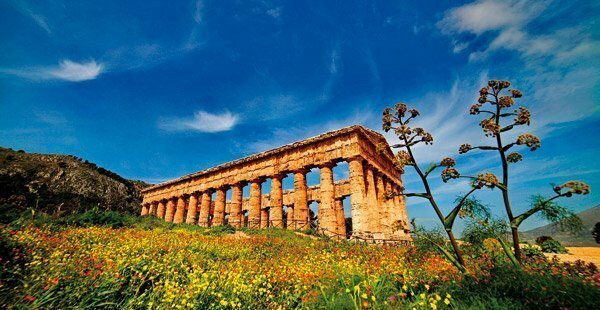 Sicily is an island of surprises and we are excited to discover this gem with you all. 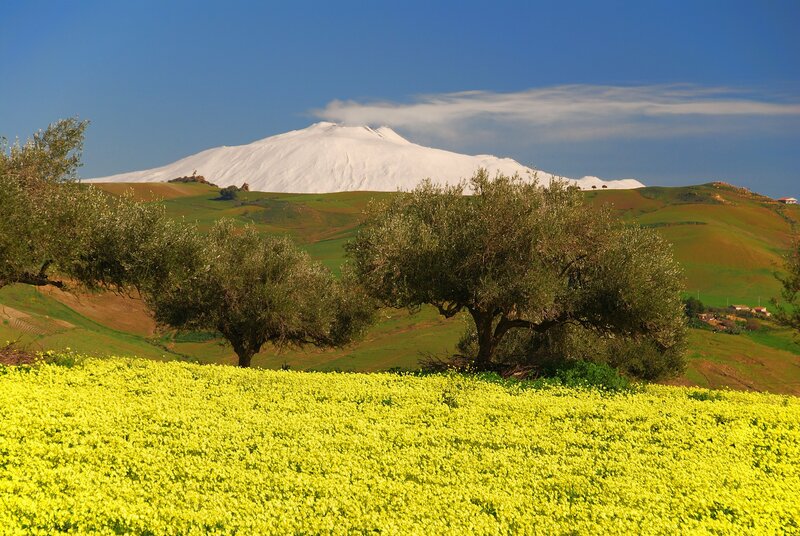 We have a real passion for Sicily and look forward to sharing it with you ! Arrive in Palermo International Airport and travel to the city center for a two nights stay in our central”CENTRALE PALACE HOTEL” or similar, close to the city’s architecturally treasures. At 6.30 pm enjoy an included a drink at the hotel bar followed by a welcome dinner in a local restaurant.Overnight in PALERMO. Morning transfers to Catania airport for your flight home. Arrivederci from all of us…and thanks for travelling Secret Italia Tours!!! Click here to make a booking inquiry! 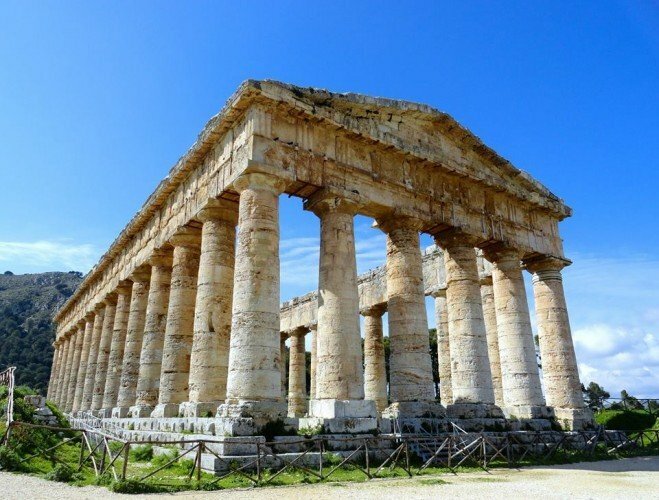 8 DAYS SICILY PRIVATE TOUR: "PEARLS OF SICILY"